Thurmond-McGlothlin provides OleumTech™ wireless automation products for our field automation projects. OleumTech® is an innovative provider of wireless M2M communications and industrial automation solutions. OleumTech is a pioneer of the wireless digital oilfield and is a world leader among the best companies manufacturing wireless sensor networking solutions today. 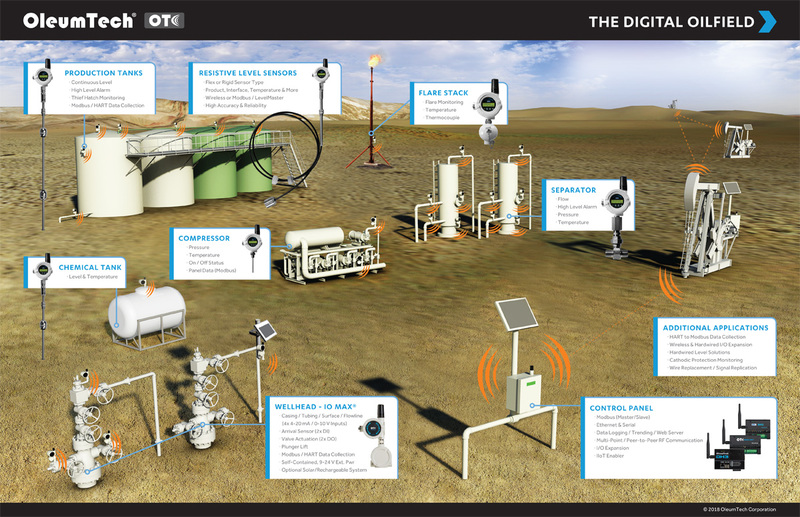 Our versatile products are distributed globally and have set the performance standards in oil and gas production, refining/petro-chemical, water/wastewater, and IoT industries, as well as many other industries requiring high performance, low power wireless sensors and I/O networks that are extremely reliable, scalable, secure, and robust. For a complete product brochure click the link below. To view the OleumTech™ website for a more in-depth description of their products go to OleumTech™.